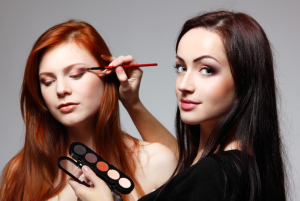 Beauty industry is on an upswing despite the bad economic situation. This is because all of us want to look good. Whether you are a professional, a student or a stay at home mom, beauty is one thing that interests us all. This has made many fields related to appearance and aesthetics come into highlight. The demand is attracting more number of individuals to pursue careers in the evergreen sector of cosmetology. Cosmetology includes several specialties, such as hair styling, cosmetics, skin care as well as manicures/pedicures. The best part is most of the jobs in the cosmetology sector are expected to have a good growth. Let us look at the specialties in details and know the several opportunities in each of them. 1. Skin care expert: Nowadays, skin care has become important for men as well as women. Every individual is ready to invest in healthy skin, and thus improve their facial appearance. You can become a licensed skin care cosmetologist and work with an organization. You can even work independently and keep all the profits with yourself. 2. Hair stylists: Hair is considered to make or break the overall appearance. . Therefore, there is a good demand of employed and independent hair stylists across the world. Hairstylists rake in a good amount of money with their talent and experience. More the experience and popularity, more the profits made by the hair stylists. In this way, if you are creative enough and want to pursue a career in cosmetology, then hair stylist career is ideal for you. 3. Makeup artist: This is such a career in the field of cosmetology which never cease to gain popularity. Nowadays, makeup artists are doing specialization in order to have a good name in the field of cosmetology. For instance, many of the makeup artists specialize in bridal makeup which keeps them fully booked with clients and customers in the wedding season. 4. Beauty writer: If you are very creative and have flair of writing then beauty writer is one of the best jobs for you. Beauty writer and editor can get employed along with beauty magazines as well as work as independent professionals. Content is something which is always required by the organizations and teams in the beauty niche. Therefore, you will always have assignments with you. 5. Manicurist/pedicurist: These are some of the crucial niches in the beauty sector. All women are nowadays addicted to getting manicure and pedicure treatments. Therefore, if you are willing to invest your time in this niche, then you can get yourself employed as a manicurist or a pedicurist. 6. Beauty business consultant: If you are having a thinking of establishing yourself as an independent professional, then you can opt to become a beauty business consultant. You can even start your own firm and work with other consultancies thus saving your time and making more money than a regular job. You can even guide others to establish their own beauty related business. 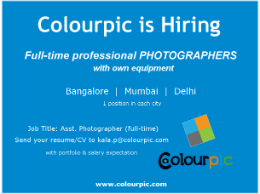 A bit of creativity will then help you fetch more money in this field. There are innumerable career opportunities which can be pursued in the field of the cosmetology and one can achieve a lot of laurels and monetary gains by performing the best in their respective niches.